(Coppell, TX) – The statewide gas price average in Texas is $2.04 for a gallon of regular unleaded fuel, according to the AAA Texas Weekend Gas Watch. That price is two cents less than last week and eleven cents more per gallon than last year. 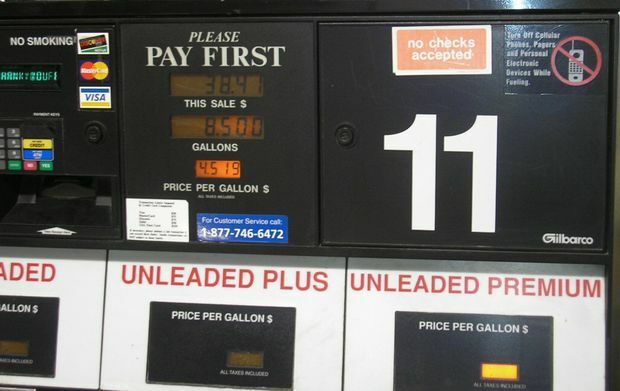 Of the major metropolitan areas surveyed in the Lone Star State, drivers in Dallas are paying the most on average at $2.10 per gallon while drivers in Amarillo and Corpus Christi are paying the least at $1.95 per gallon. The national average price for a gallon of regular unleaded is $2.22 which the same as last week and three cents more per gallon than last year. Drivers may continue to see prices wobble up and down as traders speculate on the possibility of OPEC countries developing an output agreement over the next month. Additionally, planned and unplanned refinery maintenance continues across the United States and may result in regional fluctuations in gas prices. Prices in much of the South and Southeast are expected to move lower in the coming weeks as refiners recover from fall maintenance and price spikes resulting from problems on the Colonial Pipeline in September and Hurricane Matthew.